If you’re someone who prefers longevity when it comes to your makeup (especially lipsticks), know that matte formula is the way to go! This type of lipstick has a strong formula which won’t fail you at any point during the day or night. 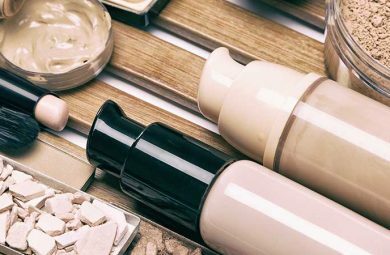 If you want to know everything in terms of application, removal, longevity, and its shade range, keep on reading! Matte lipstick has a mattifying and drying effect and is the opposite finish once compared to a high-shine gloss. The point of a matte lipstick is to keep your lips stained in color, without moving throughout the day, and without transferring onto other items/objects. 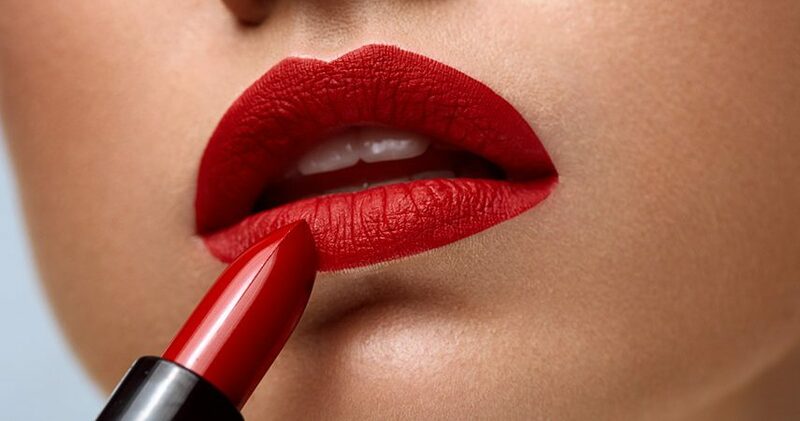 Women who dislike the shimmering look will enjoy a long-lasting mattifying lipstick. However, be aware that it may not look the best on women who have dry, chapped, or super cracked lips. What’s The Difference Between Matte And Satin Lipstick? While matte lipstick is most popular in tube form, there are liquid lipstick options available. Matte liquid lipsticks are harder to remove, while a regular matte lipstick isn’t as hard to remove, but it isn’t as simple as satin either. Also, matte lipstick can be safely worn when you are eating, drinking, or even kissing, while satin will definitely transfer. Satin lipsticks often have a sheen, a hint of shimmer, or a glossy texture once applied onto the lips. 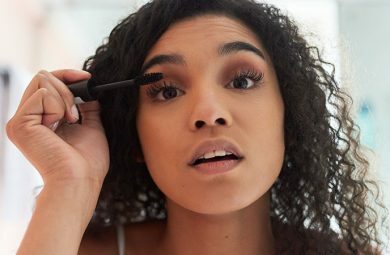 This type of lipstick can also be a lot more comfortable and moisturizing for most lips, but their color payoff isn’t as mesmerizing as it is with matte colors. Best Color Of Matte Lipstick? Nowadays there are hundreds of different shades and finishes, which is great for women who are picky, or who need variety. If you are someone who wants to build up their lipstick collection, know that you will get to choose among many different lipstick shades when it comes to your go-to matte color. However, longevity-wise, nudes and pinks may be your best option. Darker colors such as burgundy, plum, or dark deep red can be harder to create and last, and these can slide off easily. 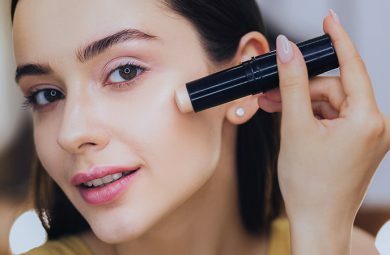 Their constant reapplication can be a hassle to some women, while with light nudes and peachy tones the lack of color isn’t as noticeable, which is exactly why many women prefer these shades. How Do You Wear Matte Lipstick? You can wear this lipstick on its own or when matched with a lip liner. If you have a matching lip liner (the same colored lip pencil, or even 1-2 tones darker) you can draw the outlines of your lips. However, make sure that your lip liner is always darker than the lipstick itself, don’t do it vice versa. Add a line and fill in your lips around the corners to give yourself a pouty and defined look. You can also overdraw a bit if you are confident enough. Once done, use a soft lip brush and add your matte lipstick onto the center by making slow and precise tapping motions. Tapping motions are a lot better than swiping motions since they add a lot more pigment to the center of your lips. In case you make any mistakes along the way take a clean Q-tip and clean up the edges. Does Matte Lipstick Dry Out Your Lips? Since matte lipsticks are a bit on a drier side they can also show off any creases or dead skin on your lips. This is why you should always thoroughly remove your lipstick before you go to bed, but you should also apply it properly to avoid severe dryness. A lot of women prefer to moisturize and exfoliate their lips before the initial application of the lipstick, which you can do as well. Use a sugar scrub every here and there and work it gently into your lips. Follow up with a lip balm and enjoy smoother and softer lips! This is a great way of protecting them, but also keeping them hydrated, even during the winter! How Do You Remove Matte Lipstick? Vaseline is great for moisture, especially if you are experiencing dry or cracked lips. 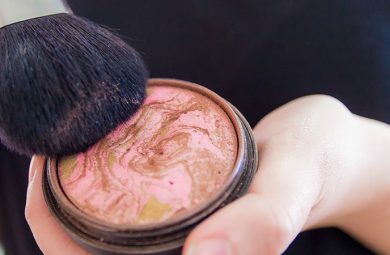 You can use a dime size amount and leave it on for 5 minutes and then wipe with a warm towel to remove your lipstick. Olive oil or even baby oil can remove your matte lipstick. Simply apply a bit to your cotton round and swipe it across your lips. Good old micellar water will remove even the heaviest kind of makeup. Use a few drops and add it to your washcloth and start at the center of your lips. Make sure you hydrate them afterward since micellar water can be drying (especially if it is alcohol-based).